I’m both shocked and, at the same time, not surprised that I’m on this topic again. I was really hoping to talk about something writing related this morning, but events this weekend have caused me to shift gears. So prepare, because I’m about to do one of my world-famous gun violence posts! Now if you’re unaware, on Friday evening at 10:30pm in the city of Orlando, Florida, singer, YouTube star, and “The Voice” contestant Christina Grimmie was shot by a deranged fan who apparently drove from St. Petersburg with the express purpose of killing her. Grimmie’s brother (without a gun of his own, no less) tackled the shooter to the ground, probably preventing more people from being killed. Grimmie later succumbed to her injuries and died, leading to a powerful outpouring of grief on the Internet. Even I, who only had a casual acquaintance with Grimmie’s work, felt her passing deeply. Just a little over twenty-four hours later, a man armed with an assault rifle entered the Pulse, a popular Orlando gay bar and dance club, and started shooting, leading to a hostage situation that ended with the shooter’s death. The latest numbers show fifty confirmed deaths and even more injuries, making this the worse shooting in American history, worse than Newtown and Aurora. All this happened despite the fact that an armed police officer (a good guy with a gun) was on scene at the club. All this, barely a day and a half apart, in the same city, in a state with very lax gun laws and a high amount of gun violence. Both shootings involving guns. I wrote last year after a spate of shootings that America’s gun problem is like a chronic illness, a constant condition that plagues and grieves us, and needs treatment to be fixed, even when the treatment isn’t always available or the subject doesn’t want to admit there’s a problem, let alone that they need treatment. And that comparison still holds water nearly an entire year later. America is plagued by shootings. We’re the only developed nation with this much gun violence, to the point where it’s almost considered normal. Guns are causing more deaths than the United States should have. These aren’t toys. They’re not meant for anything creative. Now, I know some people will say, “But Rami, how can an inanimate object cause murder? People cause murder.” Well, people cause murder, that’s true. But guns, like missiles and military drones, are designed to facilitate killing. They’re made with that express purpose. The first firearms were used for military purposes, and so were the cannons and flintlock rifles that came later, with hunting being a secondary use for the latter. They were invented for the strategic purpose of taking enemy life, not for baking cookies or improving home decor. This is in direct contrast to knives, which unless made for military purposes like the Marine Corps Ka-Bar combat knife, has other primary uses like cutting and preparing food. There’s no argument around this. Guns are made for killing, whether it’s animal or human life. In the next couple of weeks, we’re going to be seeing renewed calls for restrictions on gun sales and ownership, as well as push back from the NRA and other Second Amendment advocates trying to frame this as a mental health issue (in the case of Christina Grimmie’s killer) or as an issue with ISIS or Muslims (early reports indicate that the shooter at the Pulse had ISIS leanings). And while I do believe that mental illness and terrorist ideologies may have played a part in these tragedies, Christina Grimmie might still be alive if the deranged fan had gone at her with a knife instead of a gun, and I doubt fifty people would be dead if the killer had a knife. Maybe a couple people, but after the first few attempts at stabbing, someone’s bound to tackle this guy. And it’s hard to argue mental illness or terrorism when a man uses a gun to intimidate his wife, which happens all too often, unfortunately. The problem is, both these tragedies, and so many more, have been made possible by the use of guns. Luckily, there is treatment for this problem. In Australia, Canada, England, Japan, and many other developed nations, gun violence is at waaaaaay lower levels than in America. The difference is that they have restrictions on who can have guns and what kinds of guns. Not a blanket ban on all guns, but some restrictions are in place. And I’m sure, that if America were to institute similar restrictions, we would see the same results. In fact, states with more gun control measures have lower instances of gun violence than states that do not. If we were to implement the same thing on a nationwide level, imagine how much the loss of life could be lowered. And for those who say that gun control measures don’t work because bad guys will still get guns, so it’s best to give the good guys guns instead, I have this to say: if there are still people who run red lights, do we throw out traffic laws and just let people drive as they wish without consequences? If a boat or a house has a leak and water comes in, do we destroy the boat or the house and say they were useless and never would have worked? No, we prosecute the people who run the red lights for violating traffic laws. We patch up the holes so that water can’t get in. And if people are still getting restricted weapons and committing acts of violence with them, then doesn’t that prove even more that they’re criminals, and that they were willing to go to unsavory means to commit acts of violence? I think it does. Not to mention, how do you know who’s a good guy and who’s a bad guy? It’s not as if the good guys are marked in green and the bad in red when they pull out their weapons. And in a crowded room where everyone has a gun? Really hard to tell! It’s time to put a stop to displays like this. Treatment is available. We just have to be brave enough to take it. Otherwise, we’ll continue to have incidents like what we experienced this weekend, and families will wake up without loved ones because tragedies that could’ve been prevented weren’t. We need to admit that there’s a problem, we need to take measures to stop the problem, and we need to do this now. Not tomorrow. Not next month. Not next year, or in another years. Now. Let’s push for expanded background checks, closing gun show loopholes, and banning assault weapons or other military-grade weaponry on the open market. Let’s also put aside funding for research into gun violence for the CDC, and expand the requirements needed to purchase and use a gun (a yearly gun safety course, for example, sounds sensible enough). If we can do that, I’m sure we can prevent more innocent losses of life. Or we can go on as we have been doing. And we can’t allow that, under any circumstances. Note: Immediately after finishing this, I saw a report that a man with weapons in his car had been arrested in LA near the Pride Festival there. Thank God law enforcement caught him, or who knows how many people might’ve been killed. 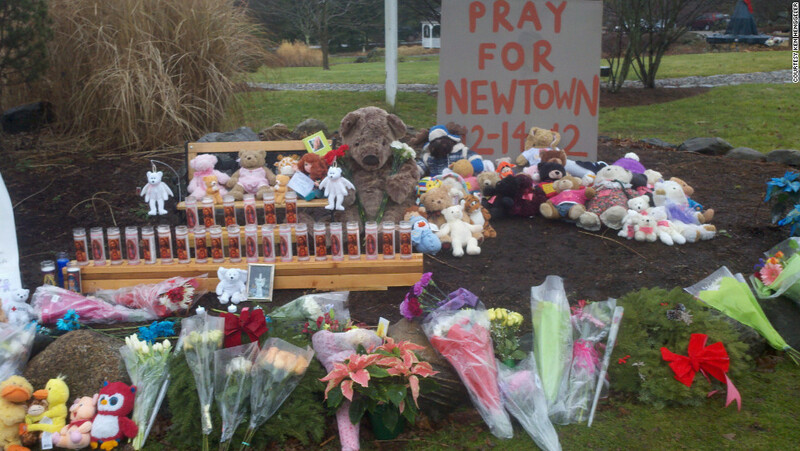 After Sandy Hook, you would think Americans would have said “enough.” But, I guess if the senseless death of innocent children is less important than so-called “gun rights,” this latest tragedy isn’t going to make an impact. Fifty precious lives lost. Fifty families who will never be the same again. Countless lives impacted by this shooting. And it will happen again and again and again, until we do something about gun control. The weird thing is, most NRA members and gun owners are in favor of gun control, even if they don’t like the term. Perhaps if there was a way to mobilize them to fight for gun control, we’d see some definite change.